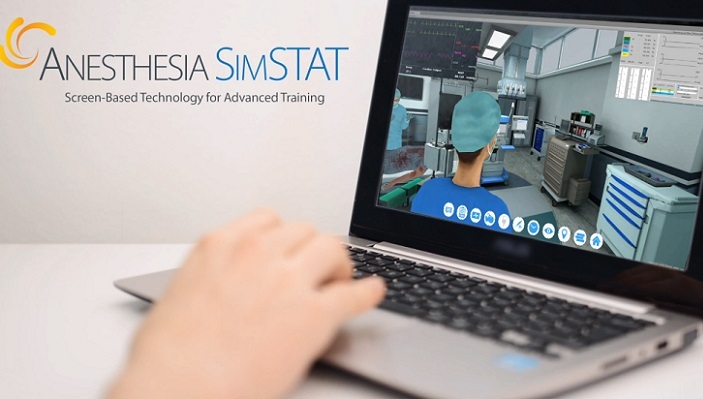 Interactive training through screen-based simulation (SBS) has taken a giant leap forward with the release of Anesthesia SimSTAT - Appendectomy. Anesthesia SimSTAT-Appendectomy is a new virtual learning environment course in anesthesia management. As part of a continuing collaboration between the American Society of Anesthesiologists (ASA) and CAE Healthcare, this training module provides physician anesthesiologists with advanced, online learning in the emergency management of laparoscopic surgeries for acute appendicitis. This is the second of five online anesthesia training courses scheduled for release by the ASA and CAE Healthcare. Through participation in these courses (available in a self-paced, online environment and accessible from any computer or laptop), physician anesthesiologists can fulfill continuing medical education (CME) and MOCA 2.0® Part II and IV requirements -- anytime, anywhere. Since the initial course's 2017 release (Anesthesia SimSTAT–Trauma) user response has been overwhelmingly positive. A majority of learners (more than 85%) self-report satisfaction with the course's ability to help them improve their performance.